Which is more important when optimizing for conversions: design or copy? It’s a trick question. Neither is necessarily more important. Both conversion-oriented design and compelling copywriting are critical, and both can dramatically increase your conversions. However, once you’ve created the perfect design that highlights all the right information and visually leads prospects to your CTA, the only thing left to improve is the copy, and you can constantly test new headlines, offers, messaging, calls to action, benefits, text formatting, and other elements of copywriting to boost conversions even more. But how do you know what to write, change, and test to get more prospects to become subscribers, leads, and customers? If you’ve ever felt lost when attempting to write your own conversion-boosting copy, you’ve probably wasted hours trying to find effective copywriting blueprints and best practices with varying degrees of success. That’s why we’ve done the research for you, compiling the 40 best resources on the web all about copywriting for conversions in one handy post to help you get the best results from your most important copywriting. These resources are organized to help you write better copy in general, improve important formats like landing pages, and test specific elements such as headlines. Even small changes in copy can have a huge effect on your conversion rate. See what’s possible and get inspired with this collection of online copywriting case studies from Content Verve. One of the top names in conversion optimization, Peep Laja from ConversionXL, outlines the basic 6-step process of copywriting for conversions. Learn the most important principles of effective copy from 7 famous direct-response copywriters, including Eugene Schwartz, Claude C. Hopkins, David Ogilvy, and others. One of the most well-known copywriting formulas, AIDA (Attention, Interest, Desire, Action) works just as well for online copy as other formats. Discover the right way to use it in thispost on Crazy Egg. For copy to convert, first your prospects have to find it. Implement these 10 SEO copywriting tips to get more organic search traffic. Learn how to know what to test, how to format text for more conversions, and 3 steps to writing copy like a professional copywriter with this video (and slides) from the Conversion Rate Experts. This post on ConversionXL details the 7 things all effective copywriting has in common, including writing to your audience, maximizing readability, and choosing the right length. Brian Massey the Conversion Scientist shows you what’s keeping your prospects from converting and how to write killer conversion copy in these slides from his presentation at Conversion Summit 2013. Learn how storytelling can help you sell more and see real-life examples of “storyselling” in action in this post on the Crazy Egg blog. These resources are organized by format: landing pages, emails, product pages, guarantees, forms, and ads. Skip to the ones you need most, and remember that the general principles of copywriting for conversions apply to all formats. Is your landing page copy persuasive? Peter Sandeen outlines 4 questions to boost persuasiveness and convert more prospects. Part 5 of the Landing Page Conversion Course covers everything you need to know about landing page copywriting. This meaty resource contains lessons from 5 experts in conversion-oriented copywriting and is definitely worth looking at. Ryan Engley from Unbounce and Joanna Wiebe from Copy Hackers share their best advice on copywriting for conversions in this webinar. Their tips are specifically for landing pages but applicable to all sales copy. When what you really need is a blueprint to tell you what to do, this flexible landing page framework fits the bill. Learn the essential components of high-converting landing page copy and how to write them. Many marketers shy away from long copy landing pages, but they often convert extremely well when done right. Learn 10 reasons to use long copy and tips to do it right in this post on the Crazy Egg blog. With the ease of publishing and reviewing online, demonstrating social proof is more important than ever. Learn how to do social proof right to boost your landing page conversion rate. If you’re struggling to write a landing page that will actually convert, use this simple “work backward” trick to nail it. Email is still one of the best ways to connect with your prospects and customers. This post on Lawyerist does a great job summing up the important email copywriting takeaways from this in-depth email usability study. Can you write a high-converting email in 15 minutes? Learn how with this 5-step email copywriting process with bonus tips. Like landing pages, product descriptions have a single goal. Boost sales with these 8 tips to writing product pages that sell. Building trust and strong customer relationships does wonders for your overall conversion rate. Learn how to write a guarantee that converts, then apply those tactics to privacy policies, terms & conditions, and other miscellaneous pages. Get more traffic to your landing pages and website by using the 3 elements of click-grabbing ads. Get more subscribers and leads with high-converting form page copy. Learn how to deliver relevance and value so prospects want to fill out your forms, and see real-life A/B test examples that illustrate each point. What part of your copy could you improve next? Use these resources organized by element–headline, unique selling proposition or message, and call-to-action–to strengthen your copywriting and use every opportunity to boost conversions. Headlines convince prospects to keep reading your copy, so they can make or break each page’s conversion rate. Learn how to weed out bad headlines and 3 high-converting modern headline formulas in this post on ConversionXL. The pros at Unbounce performed 3 case studies and tested 5 headlines to determine the viability of certain headline formulas. Find out if you should use a benefit, loss aversion, or question headline for your next landing page. Learn 5 more headline formulas perfect for home, product, and landing pages, and how to format them for optimal results and when to use them. Joanna Wiebe from Copy Hackers shares 5 criteria for writing powerful headlines that boost conversions, plus a bonus headline scorecard so you can see how your current headlines match up to those criteria. These 10 articles on Copyblogger cover every aspect of writing magnetic headlines, including determining the best headline format for the type of content you’re writing, using keywords in headlines, and writing headlines for social media. Learn how to write compelling headlines and hook readers from Luke at Start a Blog Lab. Use one of the time-tested and proven headline templates included, and discover the psychological principals behind powerful headlines. The value proposition or key message is what informs your copy. Getting your USP right will increase conversions. Learn what a USP is, what it’s not, and how to write a winning value proposition in this post on ConversionXL. If you’re struggling to identify your USP, check out this post on the Harvard Business Review blog network explaining 4 tried-and-true value propositions. Use this value proposition worksheet from Marketing Experiments to help you identify and express what makes your business unique. This in-depth USP research with examples from Marketing Experiments illustrates the characteristics of a strong USP and outlines how to overcome common problems marketers often have with value propositions. If prospects don’t know what to do next, they won’t convert. This post details how tooptimize your calls-to-action to increase conversions, with plenty of examples to illustrate. Customer reviews and testimonials can really boost conversions. Learn how to get the right kind of customer feedback that actually helps you get more leads and sales. Using your customers’ language in your copy has been proven to increase your conversion rate. Use this 4-step process to gather the best customer language and feedback to strengthen your copywriting. Foldtester is a nifty tool analyzes a URL and tells you what content on that URL will show above the fold in different browsers. Use this information to make sure your most important benefits and call-to-action appear above the fold. Before you publish or test any new copy, review the 10 commandments of conversion copywriting to make it as strong and compelling as possible. If your copy isn’t converting as well as you want it to, try these 10 simple conversion fixesfirst. Wondering if your copywriting is any good? Use this 4-step copy testing process to check your copy’s clarity, strength, interest, power, and length. Test your headlines with this handy scorecard from Copy Hackers to see how your control measures up against 5 criteria for powerful headlines. 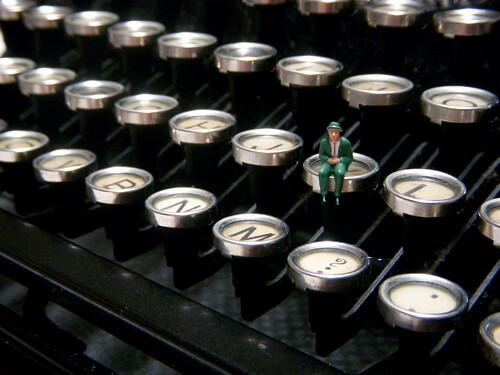 Did we miss any excellent copywriting resources? What articles and tools have helped you write high-converting copy? Please let us know in the comments so we can add to this master list!